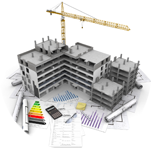 General Contracting - Chicago, Milwaukee - M-3 Enterprises, Inc.
M-3 Enterprises confidently boast of our vast experience in General Contracting. Also, we truly enjoy being part of sculpting a project from paper to a productive facility. In addition, we maintain a staff dedicated to the process, from administration to project managers to field managers. The key to the entire system of General Contracting is relationships and communication. We’ve created a large network of trusted and specialized subcontractors while being familiar with each of their strengths and weaknesses allows us to perfectly match them to the project that complements their skills best. In short, an owner’s satisfaction in the outcome is our best compliment. Our client base ranges from design to commercial construction in Chicago, IL and all other surrounding cities up to Milwaukee, WI. Have questions or looking to start your new project? Fill out our contact form to receive a reply!